I first met this little man when he was only five weeks old. His momma came to me hoping for some sleepy newborn pictures. Even though he was past my normal “newborn” criteria I decided to take on the challenge and it was so worth it! We definitely got lots of sleepy images of this little guy and I have seen him every three months ever since. One of my favorite things about my job is that I often get to see these babies grow up within their first year. I grow relationships with their parents, and I am always looking forward to seeing them come back again. 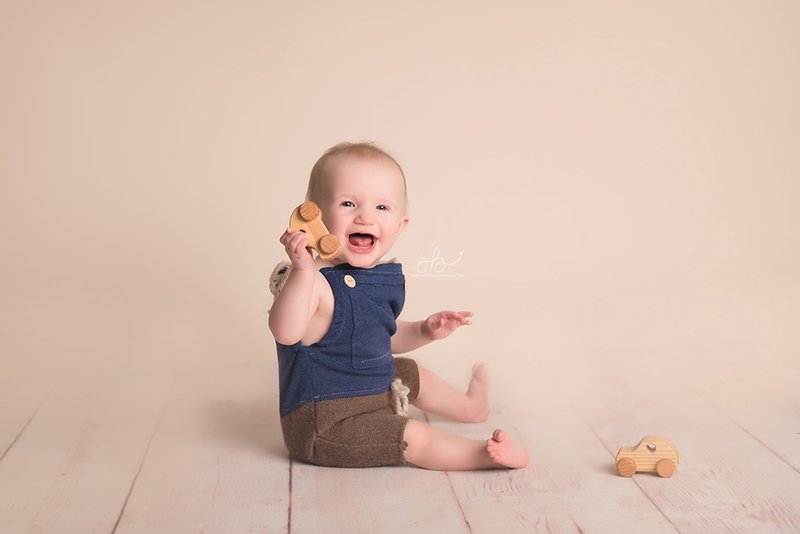 This was Cayson’s 4th session with me, at 9 months old and he sure wanted to be on the go! Last time I saw him at 6 months he was barely sitting unsupported. It is so amazing to me how fast these babies learn! 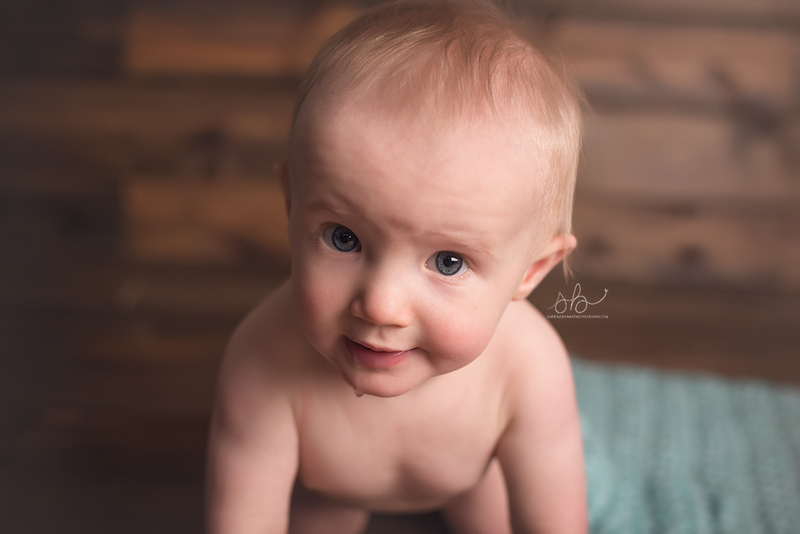 The shot above was about .2 seconds from where he started crawling away towards his parents. Haha! Such a sweet little smile. He was the most beautiful blue eyes! He had a rough start to his session. He was a little scared but he eventually warmed up. I always bring these cars out when babies are having a rough time adjusting. We play and they usually open up and start to feel more comfortable. You can see how much he’s enjoying them here! He sure wanted to be a big boy by standing up using this box. I wont be surprised if by his 12 month session that he’s walking around! 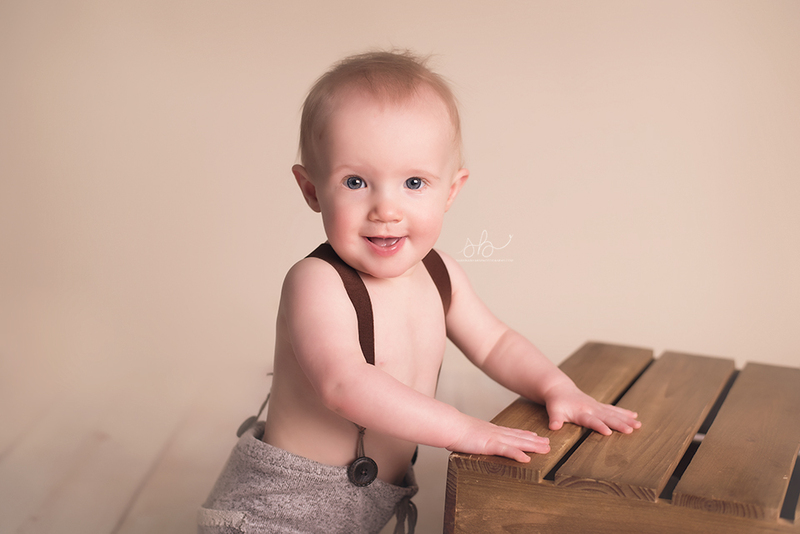 Thank you for choosing me to capture your baby’s first year! 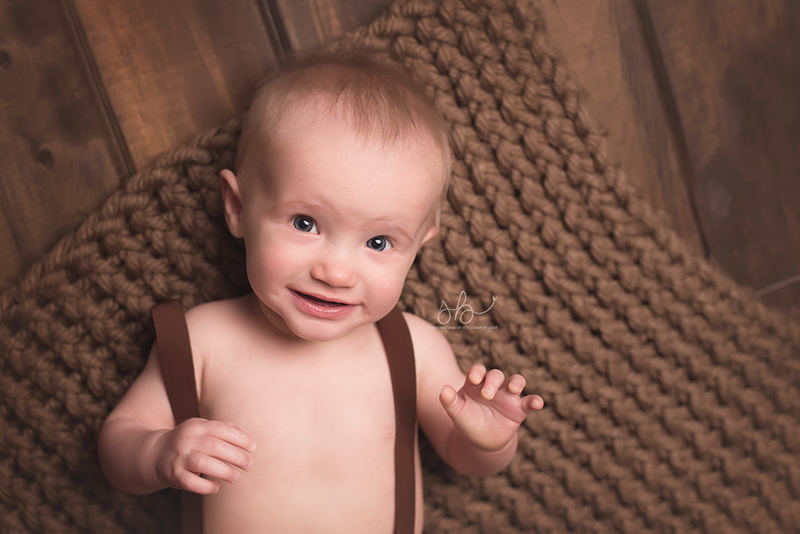 To view more of my work visit my Parker, CO Baby Photographer website. How amazing that you get to watch him grow and that his family gets these amazing photos showing him growing up. These are beautiful photos! Great work. Oh my goodness – what a DOLL! Beautiful images! What a cutie with a sweet smile! Great job capturing him! What a cutie pie! And your work is so strong and beautiful! Wonderful job. Precious! 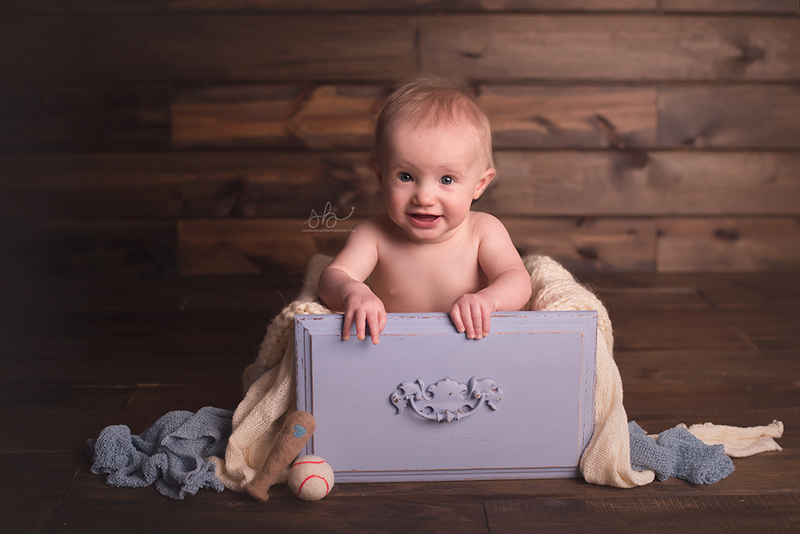 What a sweet little man and adorable captures! Love the simple colors and the expressions you’ve caught! Adorable! Love that little drawer! Oh I love these, sooo sweet, what a cutie! Your studio looks beautiful! Gorgeous work, I bet mom and dad are in love! What a happy looking baby! Love all the variety and how he’s smiling in ALL of them! Great work! What a cutie! 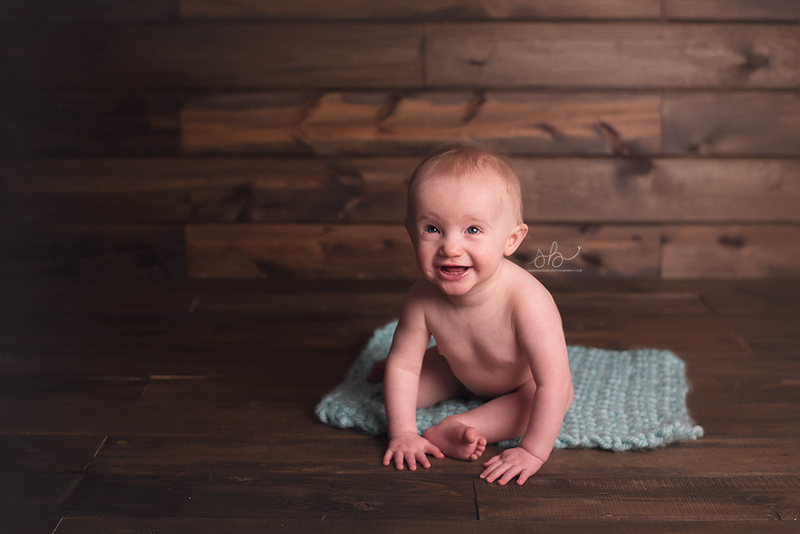 I love how you captured so many different expressions and poses – which is especially hard when they are at this age. Nice work! Love your work! Thank you for capturing these beautiful pictures of our lil guy!! We can’t believe how fast it’s all gone. See you in July!